Want to see a movie, but not sure what's worthwhile? Take a look at this week's lineup of acclaimed movies showing on the big screen in and around Walnut Creek. With a 97 percent critical approval rating and an audience score of 94 percent on Rotten Tomatoes, "Spider-Man: Into the Spider-Verse" has been a must-watch since its release on Dec. 14. It earned a Golden Globe nod for Best Animated Feature. It's playing at Century 14 Downtown Walnut Creek and XD (1201 Locust St.) through Thursday, Jan. 10. Click here for showtimes and tickets. With a critical approval rating of 94 percent and an audience score of 60 percent on Rotten Tomatoes, "The Favourite" has garnered plenty of praise since its release on Dec. 14, with a consensus that the film "sees Yorgos Lanthimos balancing a period setting against rich, timely subtext -- and getting roundly stellar performances from his well-chosen stars." Get a piece of the action at Century 14 Downtown Walnut Creek and XD (1201 Locust St.) through Thursday, Jan. 10. Click here for showtimes and tickets. With a critical approval rating of 92 percent and an audience score of 79 percent on Rotten Tomatoes, "Bumblebee" has become a favorite since its release on Dec. 21. 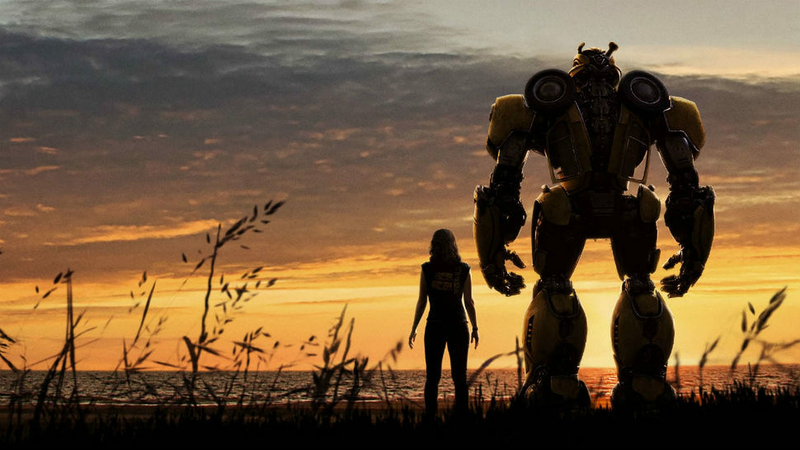 According to the site's overview of critic reviews, "'Bumblebee' proves it's possible to bring fun and a sense of wonder back to a bloated blockbuster franchise -- and sets up its own slate of sequels in the bargain." With a 64 percent critical approval rating and an audience score of 80 percent on Rotten Tomatoes, "Aquaman" is well worth a watch, with a consensus that "'Aquaman' swims with its entertainingly ludicrous tide, offering up CGI superhero spectacle that delivers energetic action with an emphasis on good old-fashioned fun." You can catch it at Century 14 Downtown Walnut Creek and XD (1201 Locust St.) through Thursday, Jan. 10. Click here for showtimes and tickets. With a critical approval rating of 62 percent and an audience score of 90 percent on Rotten Tomatoes, "Bohemian Rhapsody" is well worth a watch for Queen lovers. The site's critical consensus has it that "'Bohemian Rhapsody' hits a handful of high notes, but as an in-depth look at a beloved band, it offers more of a medley than a true greatest hits collection." Rami Malek, who plays Mercury in the film, earned a Golden Globe nominee for Best Actor for his performance. Catch it on the big screen at Century 14 Downtown Walnut Creek and XD (1201 Locust St.) through Wednesday, Jan. 9. Click here for showtimes and tickets.